CULTURE: In "Sérotonine", Houellebecq talks about nicotine as a "perfect, simple and hard drug". CULTURE: In "Serotonin", Houellebecq talks about nicotine as a "perfect, simple and hard drug". Difficult to miss! In early January, the new book of the French writer Michel Houellebecq pointed the tip of his nose and once again pour a lot of ink. If in his last work, the author is part of the continuity of the desperate genre that describes a breathless France, he also talks about tobacco and nicotine he describes as drugs " perfect, simple and hard". "A SIMPLE AND HARD DRUG THAT DOES NOT ALLOW JOY"
Everyone will get their idea about this controversial writer. In serotonin, Michel Houellebecq pushes criticism of the modern world even further. It is not only cynical or nihilistic, but radically nostalgic. Houellebecq criticizes the departure of the religion described by the philosopher Marcel Gauchet. "The relief that comes with the first puff is immediate, of an astonishing violence. Nicotine is a perfect drug, a simple and hard drug, which brings no joy, which is defined entirely by lack, and by the cessation of lack. " A reflection that will obviously not fail to talk specialists in the field. But without surprise with Sérotonine, Michel Houellebecq definitely wins his place in the accursed pantheon of anti-modern writers. 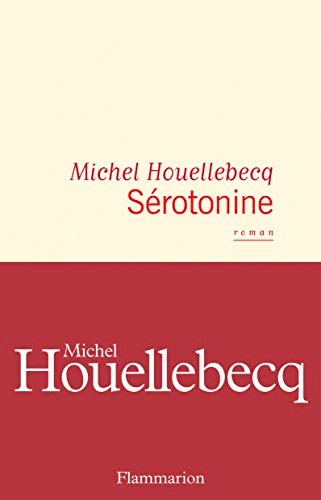 serotonin de Michel Houellebecq edited by Flammarion is now available for 22 Euros about in paperback version.